VICTORIA – Bees may be the new pocket pet for urban residents, quipped a speaker at the BC Honey Producers Association annual meeting and education day in Victoria on October 26, but government support is stronger than ever for the tiny but mighty insect. BCHPA membership now stands at more than 750, boosting association revenues to $78,500 in the fiscal year ended July 31. The association now has more than $200,000 in assets, thanks in part to generous provincial support, requiring it to start filing regular financial reports with the province. The strength of provincial support for apiculture was acknowledged several times throughout the day. BCHPA president Kerry Clark pointed to the province’s allocation of $50,000 for community beekeeping and $20,000 for BCHPA initiatives. Provincial apiculturist Paul van Westendorp has spent three decades working with the province’s beekeepers. 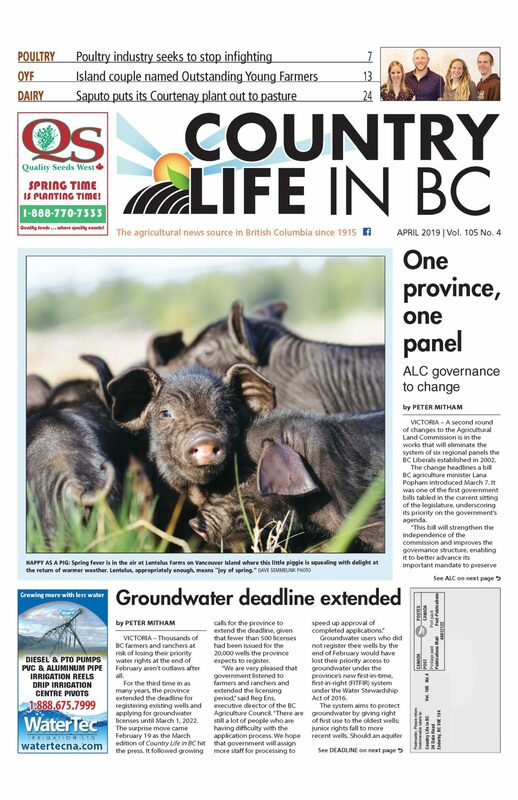 BC has 10 apiary inspectors, more than ever before, thanks in large measure to current agriculture minister Lana Popham. 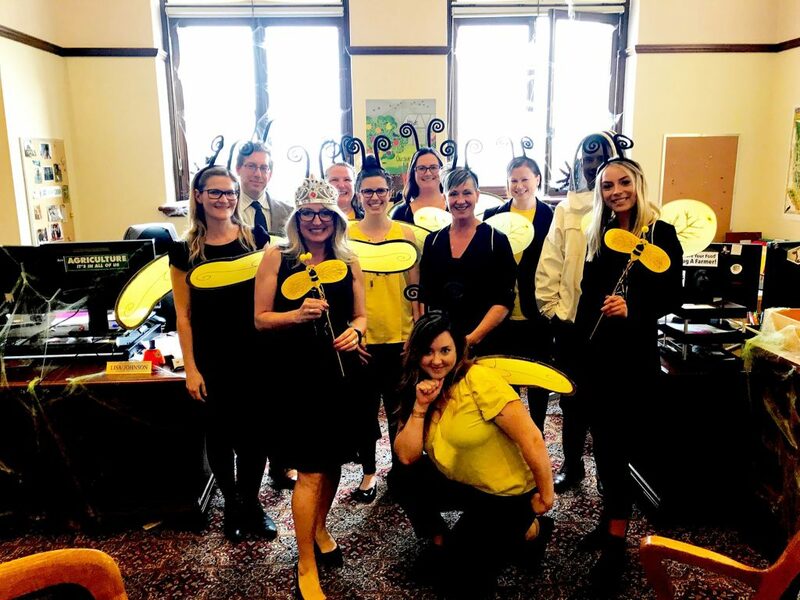 “Right now we have a larger complement of inspectors in the province than ever before, and that is largely due to the enthusiastic support the beekeepers enjoy from our current minister,” he said. Moreover, he reminded beekeepers, the services they receive are free. Popham, dubbed the Queen Bee at the event (at least of agriculture ministers), touched on the need to maintain the support as the number of colonies multiply. Indeed, while regional reports presented during the annual meeting highlighted record interest in keeping bees, thanks in part to public concern over pollinators, new members don’t necessarily stick around for long. A veteran apiarist termed bees the new “pocket pet,” quickly shed by amateurs when challenges arise. This sparked questions among some delegates regarding the risks used equipment poses if it’s not properly treated and stored prior to reuse. This could lead to the spread of disease, which novice beekeepers may not recognize. Nevertheless, BC bees are proving resilient. Colony losses in 2018 were about 35%, slightly above the national average of 32.6% but below the whopping 45% reported in Ontario. Summer conditions were more of a concern for many beekeepers than overwintering, with impacts from climate change and extreme weather events flagged as a topic for further research in roundtable discussions. Many regions reported reduced yields, save for the Peace River and Thompson-Cariboo, representatives of which reported exceptional yields of 150 to 200 pounds of honey and more per hive. However, the Fraser Valley, Kootenays and other regions saw yields greatly reduced. Some weeks, there was nothing to collect. On top of low yields, producers across the province reported strong wasp activity. Many lost hives to the insect. “We did have a huge number of wasps. I track it back to a huge number of aphids in 2017,” Clark said. An abundant food supply last year led to a greater number of wasps establishing nests at the end of the season. Clark said the population exploded this year as a result, and when the wasps ran out of aphids they turned to honeybees. The idea of developing more resilient strains of bees and homegrown queens garnered some interest, thanks to a presentation by Anicet Desrochers, a Quebec beekeeper who supplies queens to apiaries across Canada. Demand for queens in Canada is in the 250,000 range, Desrochers said, and harmonizing inspection regimes to allow for the general movement of bees would open even greater opportunities. Canada imports $2 million to $5 million worth of bees a year. One economic benefit not granted to beekeepers yet is a recognition of revenues from pollination services as income qualifying towards farm class status for apiaries. A decision is also expected from the Property Appeal board regarding whether or not overwintering bees on a property is a legitimate agricultural use.